The 'Big Five' are Lion, Elephant, Leopard, Rhino and Buffalo. The name was coined by big game hunters who determined that these five animals were the most difficult and the most dangerous to hunt on foot. The Lion is synonymous with African safari and according to current estimates there are somewhere between 25,000 and 30,000 roaming the African savannahs and plains. Lions live in prides of between 5 and 15 with a single female in charge alongside a dominant male. Young males typically leave the pride between 2-3 years of age. Apart from human hunters, lions have no natural enemies. 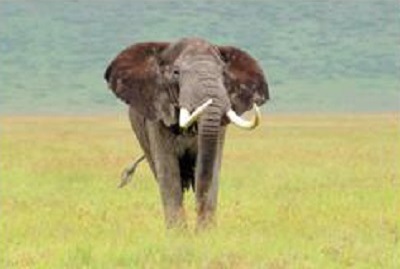 Although elephants are the largest and heaviest land animal, and if provoked they can reach speeds of up to 40 km/h. They live in herds, sometimes up to a 100 strong and are run by a senior female (matriarch). It is the role of the matriarch to 'manage' the herd. As vegetarians, Elephants can eat up to 300kg of grass, bark, branches and foliage every day. Young males leave the herds once they hit their teens, but daughters stay with their mothers. Interestingly and perhaps unexpectedly, Buffalo are viewed as the most dangerous of the Big Five. They move around in large herds and possess excellent hearing vital to help avoid danger from predators. As they have to drink everyday, the best place to see them is either early morning or early evening at the watering holes. 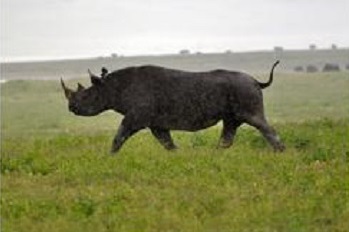 There are two types of Rhino, the Black Rhino is smaller and more elusive than its White relative. 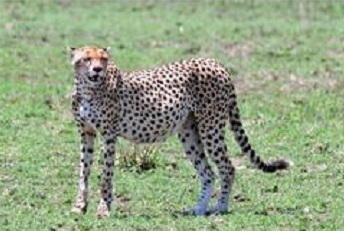 It is also one of the most endangered animals in Africa. Rhino's have to drink everyday, they also need to have easy access to mud as it acts as both a sunscreen and insect repellent. Consequently, Rhino's can often be seen near water. Rhino's have very poor eyesight, but make up for this with a very good sense of smell and excellent hearing. 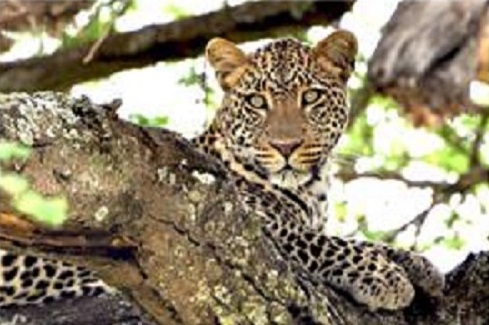 The elusive leopard is a solitary animal that lives and hunts in territory that they guard and protect fiercely. Leopards are nocturnal animals who stalk their prey under cover of darkness. 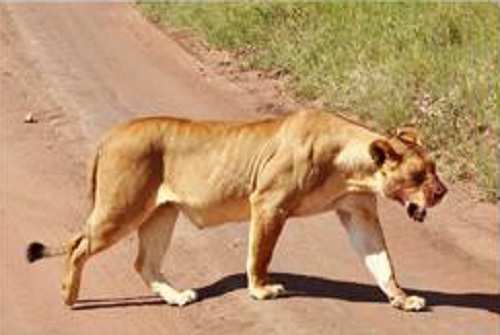 Because of this, they are renowned as one of the most successful predators in Africa. Once they have killed, to protect it from other predators, Leopards can often be seen dragging their prey up into the trees. 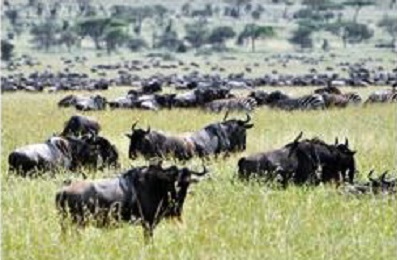 The Great Migration is an annual event that sees over 1½ million wildebeest, over ¼ million zebra and several hundred thousand species of game, including gazelle follow the rains in search of good grazing. The migration circuit covers a range 800km North to South, starting and ending in the South Serengeti and going as far north as the Maasai Mara in Southern Kenya. At the start in the Southern Serengeti, between January and March, the wildebeest have their young. Once May arrives and the rains finish, the animals start to head north. They arrive at the Grumeti and Mara Rivers at the beginning of July, reaching the Maasai Mara by late July. Traditionally this is where they stay for the remainder of the dry season. With the start of the short rains in November , the migration heads south again completing the circuit by the beginning of December. It is worth noting that approximately ¼ million wildebeest die each year as a direct result of the migration - from thirst, hunger, exhaustion and predation. There are a number of rivers and lakes that are integral to the geography of the country and its wildlife. 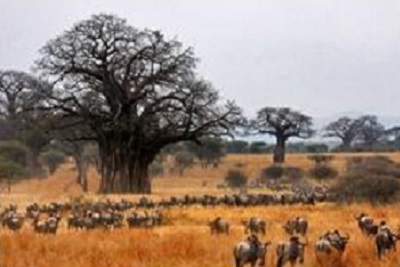 The Mara and Grumeti rivers in the Serengeti are famous crossing points for the annual migration. Predator versus prey dominate at the rivers, with a host of animals including giant crocodiles, hyena, big cats, and vultures waiting their turn when the migration arrives. In the south, the Rufiji river that runs through the Selous National Park is a great place to see crocodiles and hippos at very close quarters. 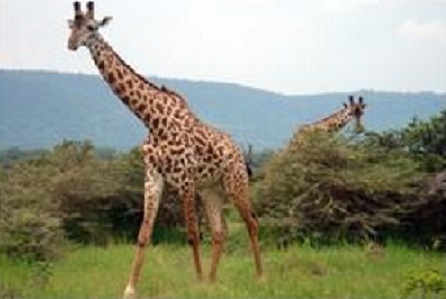 Lake Manyara is probably the best known of the lakes. It can be found in the north of Tanzania and covers approximately 89 square miles of the 127 square miles that make up the Lake Manyara National Park. Giant fig trees, mahogany trees and acacia woodlands are plentiful in the park, all nourished by underground springs that are replenished constantly from the crater highlands above the Manyara basin. 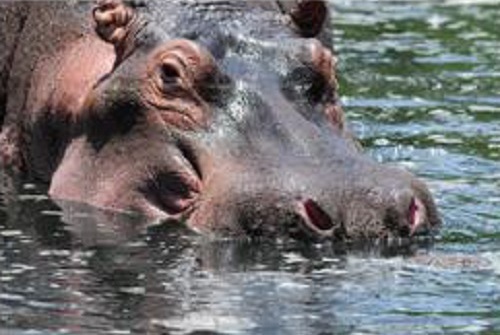 Lake Manyara is most known for its baboons, but also hosts a range of herbivores including hippos, impalas, elephants, wildebeest, buffalo, warthogs and giraffes. Tanzania is a great destination for bird lovers with more than 1,000 species resident across the vast savannahs including the Serengeti and Selous. 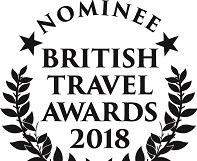 As it is not possible to include all the varieties, please see below details of a few of the more well known residents that will hopefully give a flavour of what can be seen. These include Ostrich, Kori Bustard and Francolins which can all be found wandering the Serengeti. Pelicans, Flamingos, Storks and the Crowned Crane can be seen in the north of Tanzania, particularly around Lake Manyara and the Ngorongoro Crater. The Rufiji River in the Selous is known for good sightings of many of the 20 species of Herons and Egrets that reside in Tanzania. There are over 50 species of raptor many of which can be seen in the Serengeti, Manyara, Selous and Ruaha. Of the more well known varieties, the Fish Eagle is particularly common along the Rufiji River in the Selous. The Auger Buzzard and several varieties of Kites are commonly seen in the north, including the Ngorongoro Crater, Kilimanjaro and Arusha. Vultures are widespread across the whole of Tanzania, with the most common being the White-Backed Vulture. 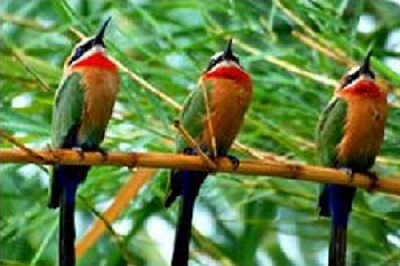 To name but a few of the smaller residents, Kingfishers, including the giant Kingfisher, the Fork-Tailed Drongo, Weavers, Warblers and the African Pied Wagtail, which is one of Tanzania's most familiar birds.